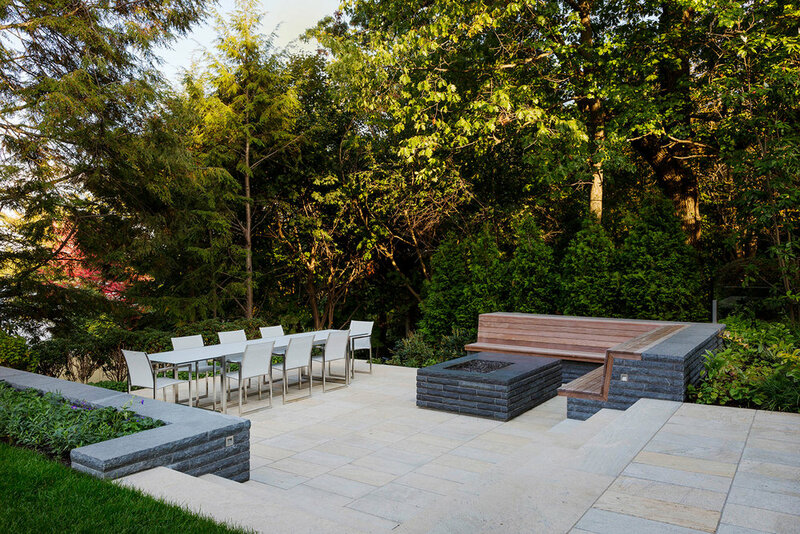 The site design for this property knits into the steep topography, presenting an unfolding level of experiences around the existing contemporary house. 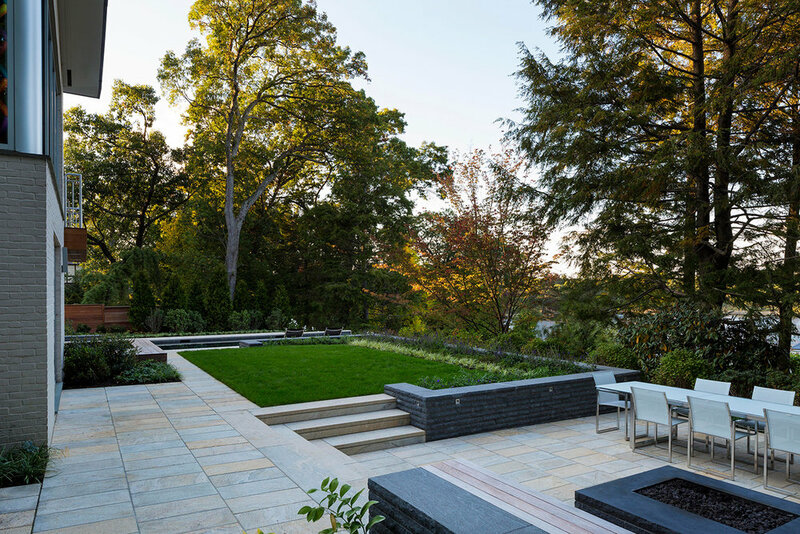 The plan included the removal of existing dense plantings that blocked the view to a nearby reservoir, providing opportunities to visually connect an infinity edge pool with the water beyond. 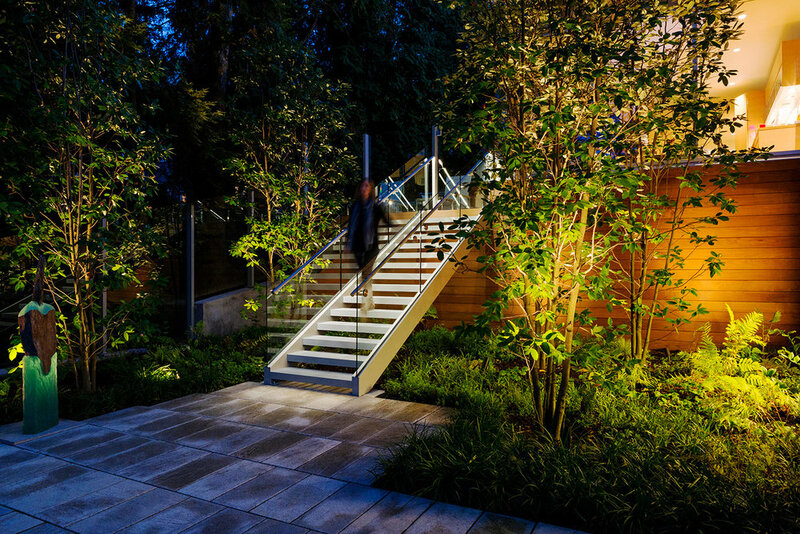 An upper courtyard off the kitchen is connected by a floating steel and glass stair to the new sculpture courtyard below. 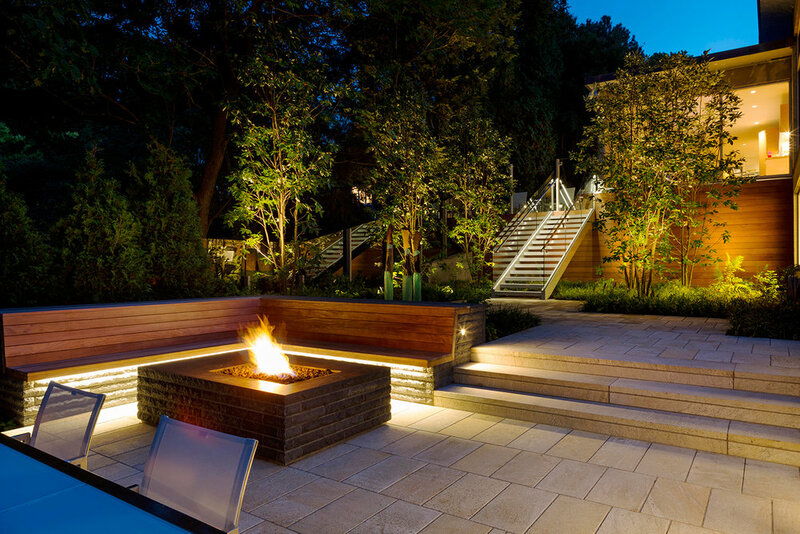 Another lower courtyard with built in seating and fire table provides an area for dining and relaxing. Portions of the existing house were clad in wood, providing a clean-lined backdrop for the new spa nook and sculpture courtyard.